The world has been long interested in the taxation of Cryptocurrencies. So much so that at the latest G20 summit, the idea of cross-border electronic transaction taxation was brought up by Japan. Though apparently, the world has a long way to go before they catch up to Poland. 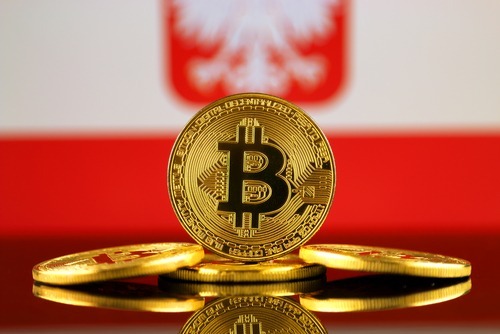 The Polish government has recently submitted a proposal, to be reviewed by the President of the country, that would mean a tax on all crypto purchases within the country. President Andrej Duda has an important decision to make. Especially since the last time a crypto tax decision was made in the country, it was met with considerable backlash. Though the expectations are that the laws will be entering into effect on the first day of the coming, 2019 year. The previous law regarding the taxation of cryptocurrencies within the country seemed a little unfair to the local crypto communities. According to the law, each crypto purchase would be taxed, regardless of whether it resulted in a profit or loss. The pushback from the communities resulted in some amendments being proposed, which we are going to be discussing now. One of the most important provisions contained within the proposed amendments, as they were sent to the leader of the country, are regarding crypto-to-crypto conversions. While in the previous temporary rules such conversions were taxed, this time around they are exempt. This gives the traders a bit more flexibility, especially in case they end up not getting what they thought they were. Once the laws go into effect, the Polish government will be expecting its citizens to report all incomes and purchases made with Cryptocurrencies. This means that when a Polish citizen fills out their tax return, they will have to talk about their Crypto income. While this might not be a problem for most of the Polish citizens, it might prove a little annoying to any traders. Especially since the reporting happens for the fulfillment of another rule. If all the income from cryptocurrencies exceeds one million Polish Zloty, then the so-called solidarity tax is added on top of the already existing tax. This amounts to another four percent on top of the nineteen. This could be a potentially too heavy a toll on the local crypto traders. With the nature of such digital currencies, there exists danger that all profit might be lost to taxes. A dangerous context to work in for the Polish traders. We welcome any kind of legal framework and contextualization for the crypto world, but some laws are debilitating to the future of such trading. Still, with the world trying to figure out a way to best deal with crypto, even mistakes are welcome. Fixable ones.